To offer the delights of a French-inspired cuisine in an intimate environment - a discreet service where no attention to detail is spared - and unforgettable moments of relaxation on board elegant yachts of character. 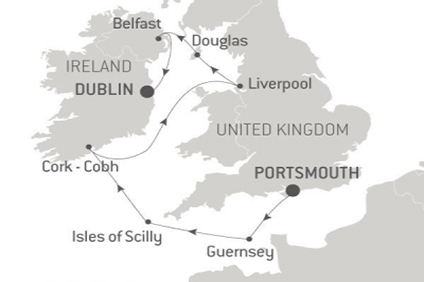 7 Night cruise departing from Dublin to Portsmouth onboard L'Austral. 7 Night 4th Annual Piano Festival at Sea departing roundtrip from Athens onboard Le Bougainville. 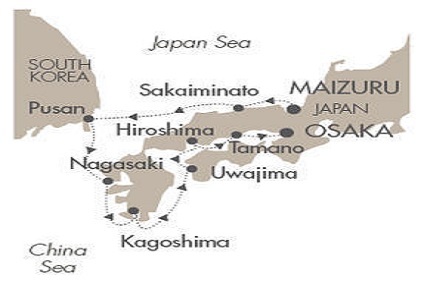 8 Night Cruise sailing from Maizuru to Osaka aboard Le Soleal. 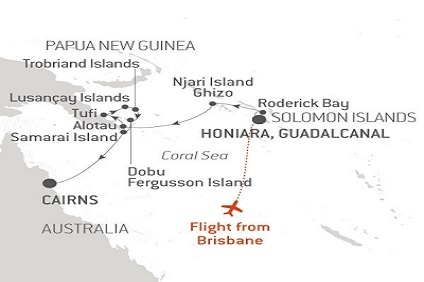 11 Night Cruise sailing from Honiara to Cairns aboard Le Laperouse. 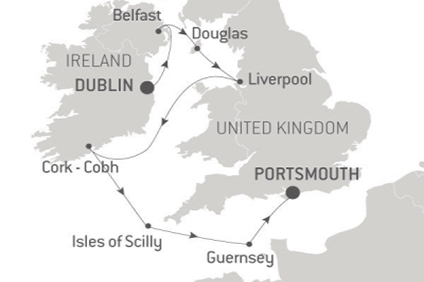 7 Night cruise departing from Portsmouth to Dublin onboard L'Austral. 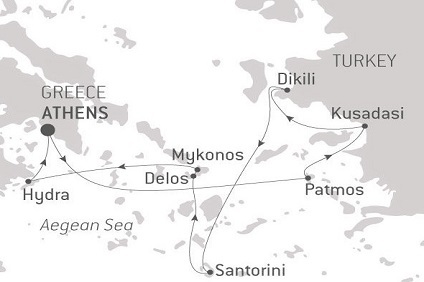 7 Night Ancient Treasures of the Mediterranean departing from Athens to Istanbul onboard Le Bougainville. 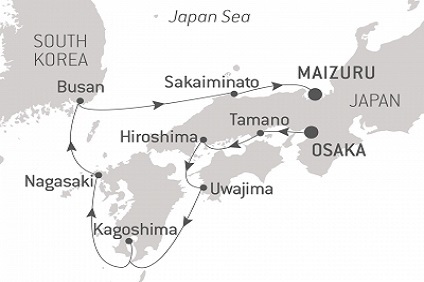 8 Night Cruise sailing from Osaka to Maizuru aboard Le Soleal. 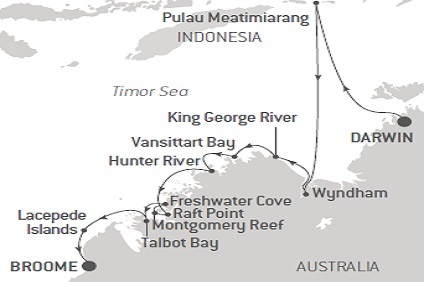 11 Night Cruise sailing from Cairns to Darwin aboard Le Laperouse. 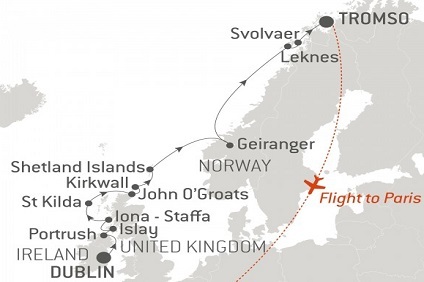 11 Night Cruise sailing from Dublin to Tromso aboard L'Austral. 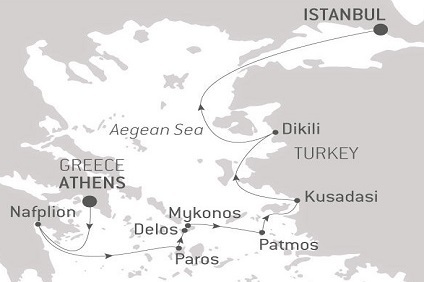 7 Night Aegean Odyssey cruise departing from Istanbul to Athens onboard Le Bouganville. 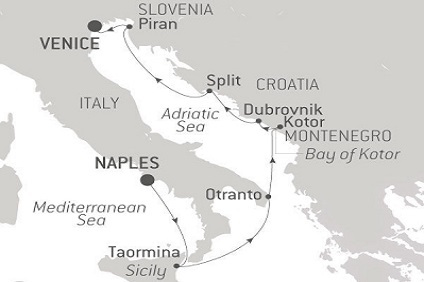 7 Night Cruise sailing from Naples to Venice aboard Le Lyrial. 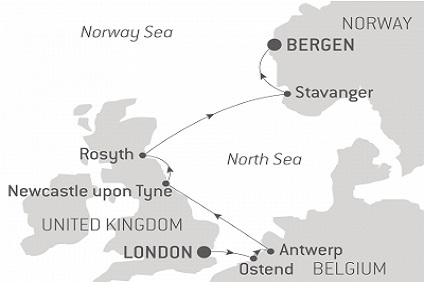 8 Night Cruise sailing from London to Bergen aboard Le Boreal. 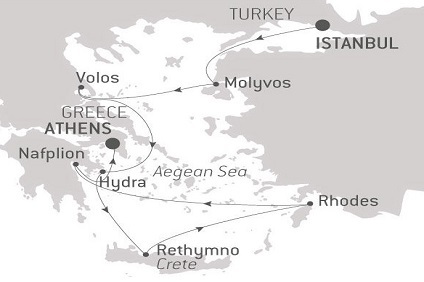 7 Night Cruise sailing from Venice roundtrip aboard Le Lyrial. 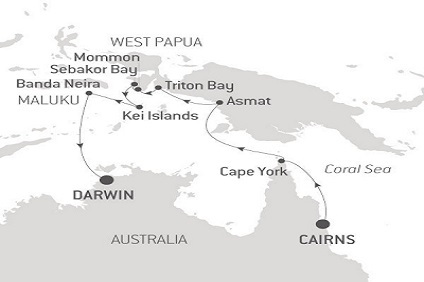 10 Night Cruise sailing from Darwin to Broome aboard Le Laperouse. 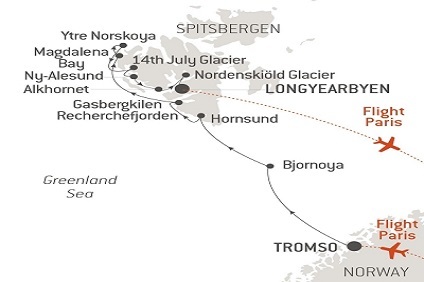 9 Night Cruise sailing from Tromso to Longyearbyen aboard L'Austral. 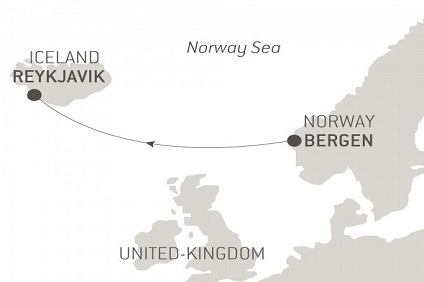 3 Night cruise departing from Bergen to Reykjavik onboard Le Champlain. 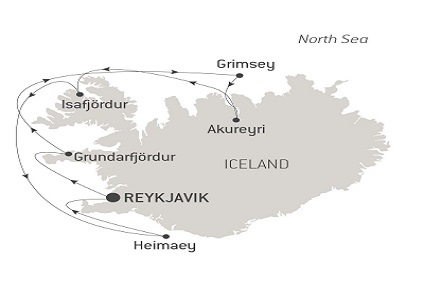 7 Night Cruise sailing from Reykjavik roundtrip aboard Le Champlain. 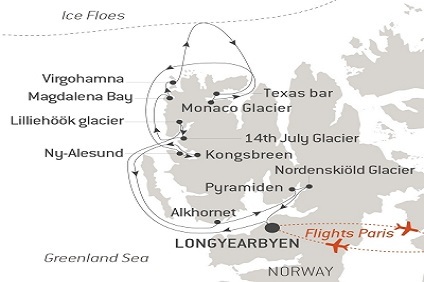 7 Night Cruise sailing from Longyearbyen roundtrip aboard L'Austral. 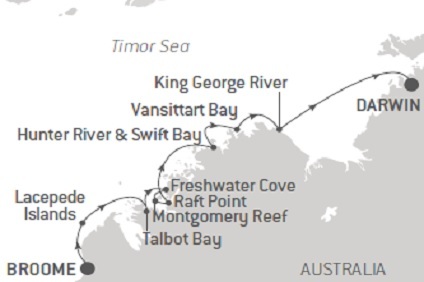 10 Night Cruise sailing from Broome to Darwin aboard Le Laperouse. Continental breakfast will be served in your cabin on request or in the form of an American buffet in the panoramic restaurant. Lunch is buffet style and served on the terrace of the panoramic restaurant, looking out on the sea. At night, dinner " French-style " will be served at the table, in the gourmet restaurant..
Each day, our French chefs will introduce you to fragrant flavours, cheeses carefully selected by expert cheese affineurs, delicious specialty breads and sweet pastries. All of this is accompanied by a selection of fine wines to complement your meal, or you may choose from a superb “à la carte” list of grand cru wines and our on-board sommelier will be only too happy to advise you. Tips are not obligatory and are left to your discretion. Children are welcomed onboard the ships but there are no facilities for them, therefore parents are responsible for children at all times.